Skyline Trisource Exhibits | Cleveland Trade Show Booths | Plan Today! Cleveland trade show booths are a competitive arena. With so many different styles and companies congregating collectively at so many conferences it requires a professional touch to stand out. Skyline Trisource Exhibits brings the team you need to make the most visual impact with attendees. Our designers have years of experience working for hundreds of hours designing logos, logistics, and staffing trade show booths. Our experience with so many industries and trade shows speaks to the level of professional ability we have. We will work with you to craft the most visible marketing message for your brand and that it is presented in a way that fits your company the best. Whatever your booth needs, our team will help you figure out how best to supplement the attendee experience at your Cleveland trade show booth. Call us today at 800-229-8600 to learn more. Our designers work at not just imagery, but the presentation. Skyline Trisource offers different booth and banner styles and designs, all to fit any budget. We can do portable displays, modular inline displays, custom island exhibits, or events & fully realized environments, whatever your needs and booth space determine. If you decide your Cleveland trade show booth needs extra storage, seating, or merchandising, we can provide it. If you need to save on shipping, our team can store and manage your banners from city to city. And if your booth is larger in design, Skyline staff will be available to set it up. We strive to be your one-stop company for all your show needs. Skyline Trisource offers expert Cleveland trade show booth designs and support for you to excel at your next exhibition. We know how to attract crowds and keep them around to learn about your brand and connect with your company. When it comes to experiences, we excel in making memorable ones. 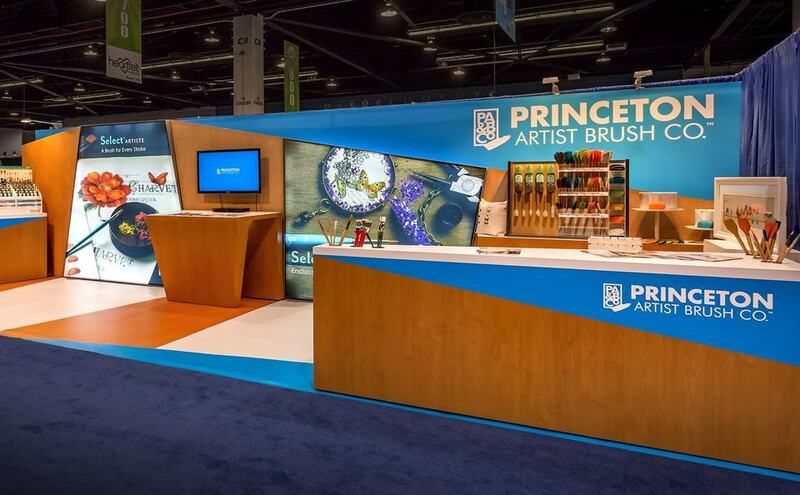 Give us a call at 800-229-8600 to learn more about our stunning trade show services.